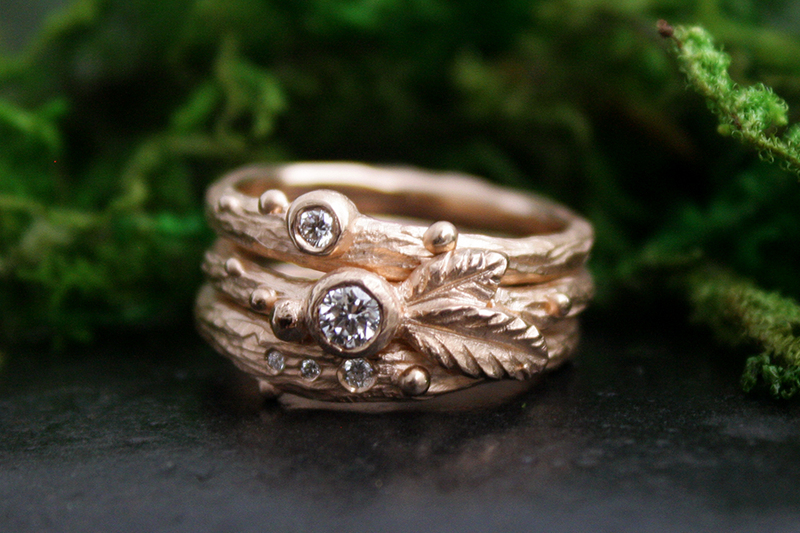 Where heaven meets earth, the Trinity Stacking Rings are born. 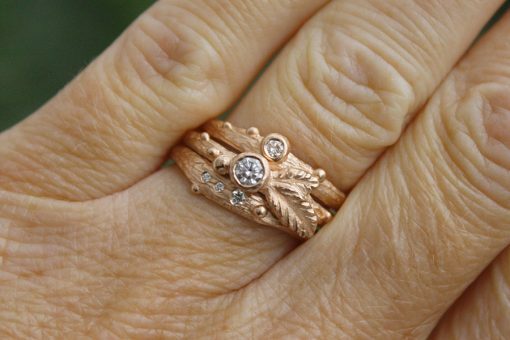 Celestial diamond sparkles and earthy bark textures marry in this beautiful rose gold trinity. 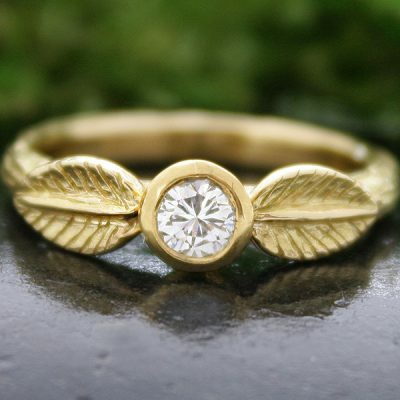 Budding Leaf Ring, Morning Dew Ring, and the Beach Pebbles Ring gather and unite to create this woodland wonder. Sold as a set of three, or individually. 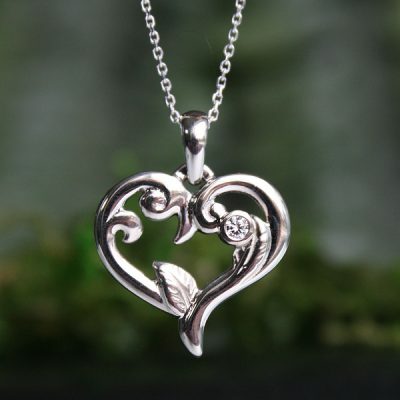 Available in white, yellow or rose gold. 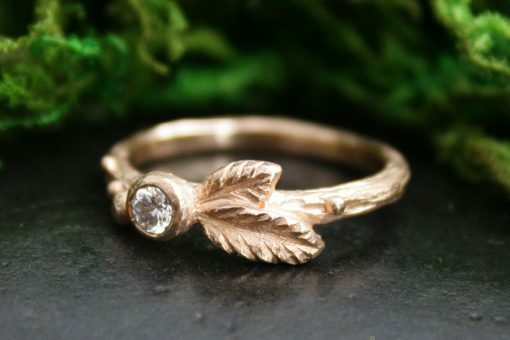 Hand carved woodland style diamond ring in 14k rose gold. Intuitively carved. 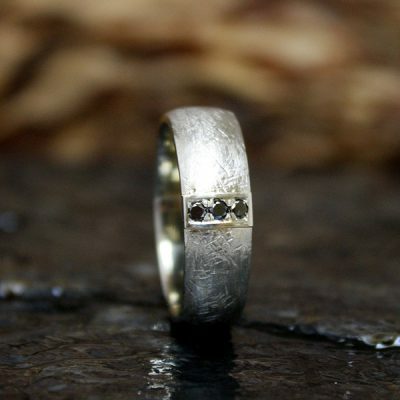 Inspired from the breath of the forest and the twinkling night sky. 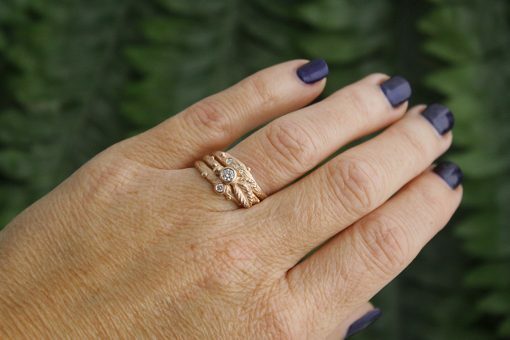 This darling number pairs beautifully with other stacking rings. The carved salal leaves, a native plant to the west coast, will gracefully overlap other bands. 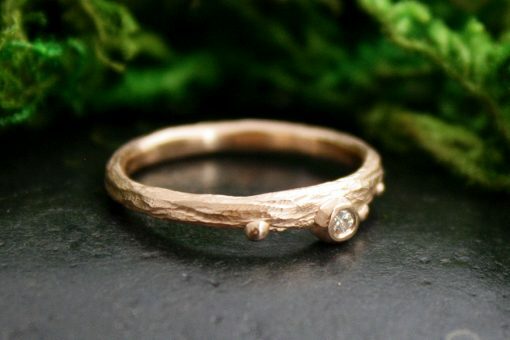 The Morning Dew Ring in 14k rose gold is textured like tree bark with little water droplets dancing across the band, highlighted with a little diamond sparkle. Inspired by the breath of the forest and the twinkling starry night sky. 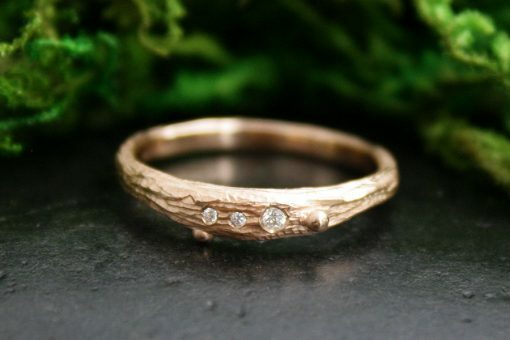 Inspired by the west coast forest and heavenly bodies above, this earthy, bark textured ring has little dew drops and diamonds of skipping pebbles.